The story of how emigration from the Cape Verde Islands to Europe gave us an alternate history of the electronic music that's captured hearts across the world. 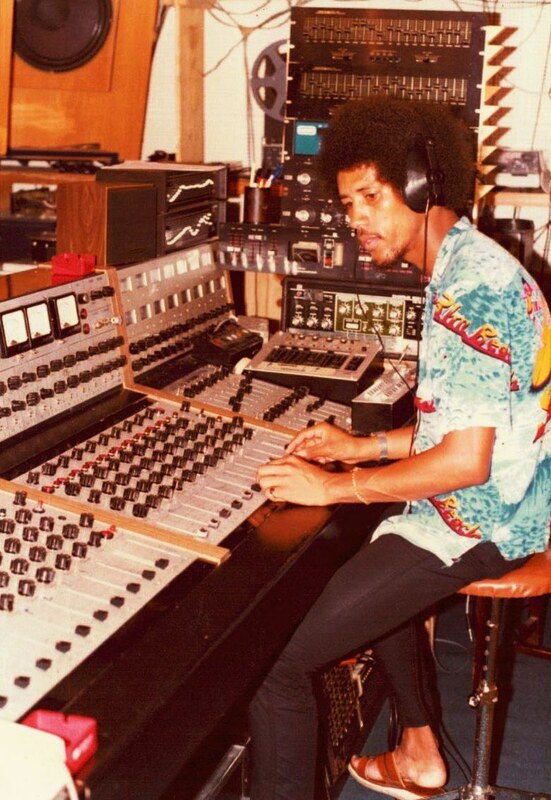 Vik Sohonie, founder of Ostinato Records, gives us the background on his upcoming compilation 'Synthesize Soul: Astro-Atlantic Hypnotica from the Cape Verde Islands 1973-1988,' available for pre-order now. 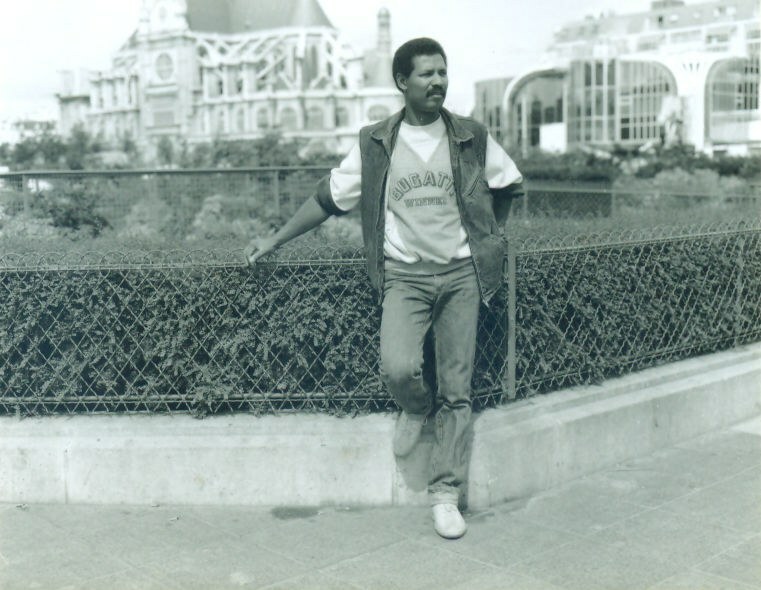 In 1980, a young aspiring footballer, Narciso “Tchiss” Lopes, emigrated from the Cape Verde Islands to Portugal. A member of the world’s largest diaspora per capita—Cape Verde has more people living outside its borders than within it—Lopes left his home island of São Vicente, migrating first to Lisbon, where Cape Verdean immigrants are well represented in Portugal’s football leagues. A few years later, as a sailor, Lopes moved to the Italian capital to pursue a career in music. The pain of seeing his compatriots unable to get jobs and “sleeping on the streets” inspired his definitive LP, Stranger Ja Catem Traboi, a roaring, high-tempo, synthesizer-filled take on Funaná rhythms which speaks to the hardships of the migrant experience. Listen close enough, and the patterns and arrangements don’t differ greatly from what we know today as “electronic” music. Rome has the fourth largest Cape Verdean community in the world, after Portugal, the United States and the Netherlands. And despite initial travails, the 1980s, Lopes said, “were very special, not just for me but for a lot of people.” Migration hadn’t reached the haunting crisis one sees today, hardening attitudes and given right-wing politicians a pulpit. For Lopes, as a musician, the climate “took more care of the artists,” allowing for a laboratory of sorts to form within the community. That feeling would transpire across Lisbon, Paris, and Rotterdam, as one the largest waves of migration from a single country sent thousands of Cape Verdeans to Europe’s cities. Most who made the uncertain journey took up maritime jobs as sailors and dockworkers by day, musicians by night. Movement and mobility are intrinsic aspirations of the human condition. What we’ve come to know as immigration is as old as civilization. Yet today we measure immigration through a series of vapid data—how many refugees have entered? How many jobs have immigrants created? What percent of Europe are naturalized citizens?—and either condemn the potentially incompatible outsider or celebrate the most scientific and business minds. Very rarely do we peer back into the past to examine the tangible and timeless creations born from the largest movements of peoples, overlooking cultural innovations arguably ahead of their time, precursors to consuming global trends. This is the story of how emigration from the Cape Verde Islands to Europe, propelled by despondence and upheaval at home, gave us an alternate history of the electronic music which captured the hearts and minds of partygoers and audiophiles across the world, giving rise to a new global music economy led by New York, Chicago, and London in the late 1990s. But the story doesn’t start in a Western cultural hub, rather in the small cluster of islands 400 miles off the Senegalese coast, and offers an unparalleled insight into the long-term cultural splendor catalyzed by migration. Cape Verde today is justifiably hailed as an African political success story—ranked third out of 54 countries on the 2016 Ibrahim Index of African Governance—but things were different in the 1980s. Under the military dictatorship of General António de Oliveira Salazar, it remained a key policy to shroud Lisbon’s colonial exploits and the extent of violence in Cape Verde, Guinea Bissau, Angola, São Tome, and Mozambique from the outside world, creating an alternative Lusophone realm virtually impregnable to Anglophone interest, coverage, or empathy. As a result, Portuguese-speaking African Countries, designated as PALOP, their stories, myths, and culture, largely evaded the global reach and cultural clout of Anglophone mass media. Only a handful of scholars in Anglo-American academia have focused their efforts on Lusophone Africa. It’s why Portugal’s napalming of Mozambique, and deployment of over 30,000 troops in Guinea-Bissau, when the U.S. was winding down its wars in Southeast Asia in the early 1970s, remain an under-reported footnote rather than a concrete memory. Consequently, the ready availability of electronic instruments, a doorway to a long denied ‘modernity,' and an anchor in their adopted homes, was seductive. “Every place we play, the Cape Verdean community, we worked hard to create dance halls for them, and they loved it because that kind of music was new to them,” said Jovino Dos Santos, a widely respected elder statesmen of Cape Verdean music, who also started in Portugal, before settling in a suburb of Paris, France. The Cape Verdean diaspora is well connected to the homeland. Musicians have regularly returned to the islands for extended periods of time, and continue to do so today. 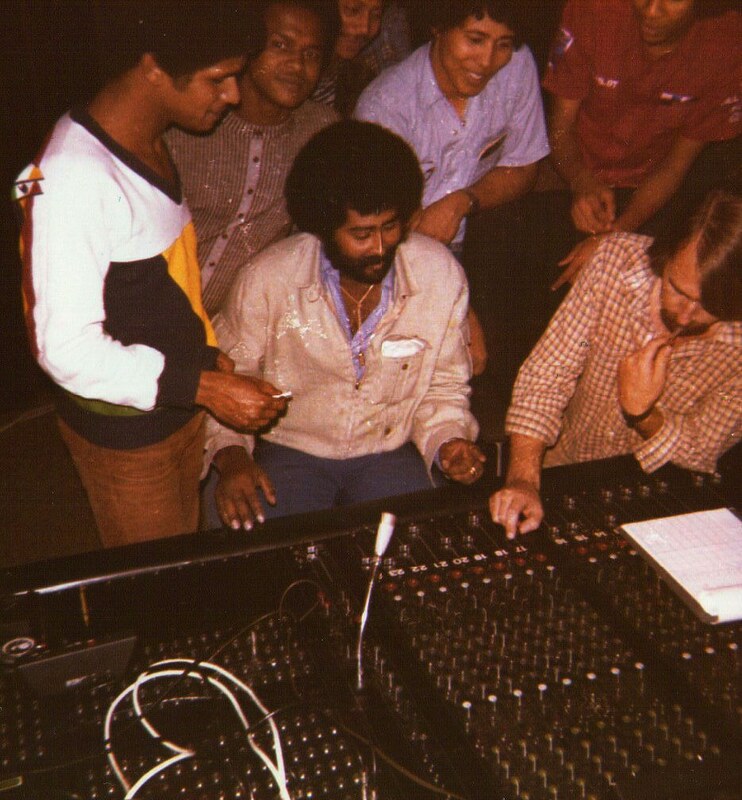 When Rotterdam-based seminal band, Bulimundo, travelled back to Cape Verde, their luggage contained stock of synthesizers and MIDI instruments. Travel to the countryside to learn the rhythms of rural farmers became common. The melodies of the charmingly off-tune, often damaged accordions were transplanted onto synthesizers. A cultural supply chain was established. Largely detached from global capitalism, music was, and in many ways still is, perhaps Cape Verde’s most effective gateway to integrating with the world; immigration its engine and lifeblood. As the gadgetry of the day penetrated the islands, the hearts and minds of a musically-inclined people, particularly the youth, were captured. 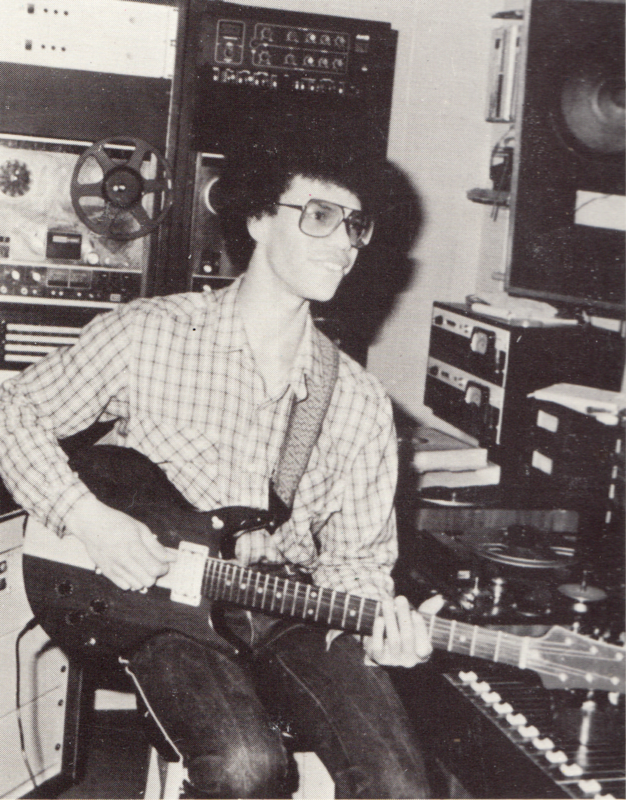 One mercurial youngster, Paulino Vieira, arguably Cape Verde’s most important musician, the real mastermind behind the islands’ melodic majesty, was especially drawn to keyboard instruments, having honed his skills at a Catholic seminary run by Padre Simeoes, widely credited as a defining influence for several musicians. He not only arranged, composed, or played on at least half the songs on this compilation, but was the invisible hand behind the compositions of Cesaria Evora’s first album, Sodade, which launched her to worldwide fame, deepened the pockets of producer Djo da Silva, and registered Cape Verde as a cultural force in the global imagination. Evora was from Mindelo, on the island of Sao Vicente, in the northern belt of Barlovento islands. Her heartfelt, cavaquinho and violin-driven delicate songs fueled by ‘saudade,' a sense of longing, became the signature sound readily associated with Cape Verde. This compilation is defined by the music of Santiago, home of the capital, and its native rhythms of Funaná and Batuku, the last to be utilized in popular music, casually burgeoning beneath the surface as Evora’s sound won hearts and minds. Each island, because of ocean currents and colonial restrictions on travel developed its own fiercely independent culture. The older generations may still identify with an island rather than the nation. Santiago remains most closely attached to its mainland African heritage, typified by its refining of Funaná and Batuku, with their origins in what’s today Guinea-Bissau. The capital, Praia, was the seat of the Portuguese colonial elite, the city center once home only to whites. After independence, left-winged nationalist party, PAICV, purged Europe’s spiritual infrastructure. Praia was transformed into a city prideful of its African ancestry. Opportunity attracted aspiration. As more people of varying socioeconomic and racial strata mixed in the capital, the structures of a once imposed isolation between the islands slowly withered, Africanizing a diverse country in a way that environment and colonial dictates made impossible. It was this, the most African of musics, of the rural poor, affectionately yet disparagingly known as the badius (vagabonds), developed in a junction of the Atlantic, that traveled to Europe to be reinterpreted, ushering in a little known proto-electronic movement, which predated the curiously all-too-familiar sound in Chicago, New York, and London by over a decade, often complete with a repetitive 4/4 beat. The movement found its headquarters in Lisbon, where Paulino Vieira had emigrated at age 18 to lead a reworked Voz de Cabo Verde, the commanding, enigmatic ensemble that electrified Santiago’s folklore and enticed Cape Verdean musicians from around the diaspora to collaborate. Live performance spaces and discotheques like Monte Cara, now known as Enclave, and Lontra, became the savored epicenter of the Lusophone African diaspora in Portugal’s coastal capital, centralizing an ultra-progressive sound born under Vieira’s auspices. But, as in Italy, according to Gomes, the diaspora was joined by “lots of Europeans, from Portugal and Spain, attending the clubs,” culminating in the legendary 1987 founding of the Baile nightclub inside a ballroom of the iconic Palácio Almada de Carvalhais by prominent Portuguese lawyer José Manuel Silva. Overlooked outside the Lusophone realm until now, Cape Verde’s astro-Atlantic gumbo of instrumentation and rhythm offers a timely lesson of migration’s power to produce cultural innovations ahead of its time. Whether it was Jovino Dos Santos in Paris, Tchiss Lopes in Rome, Val Xalino in Gothenburg, or Paulino Vieira in Lisbon, this sound could not have been perfected without the induction of Cape Verde’s artistic human capital into the West. As we watch with heavy hearts the tragic crisis unfolding across the Mediterranean, as people fleeing similar circumstances strive to settle in Europe, a measured hint of patience will ultimately justify their vast inclusion. There are poets, writers, artists, thinkers, and, of course, musicians, raised in an age of technology, that are making the treacherous journey by boat, or by land on foot, from Syria, Eritrea, Libya, Iraq, and elsewhere. Paulino Vieira’s heir, and lush cultural innovation bound to bear the same fruit, lie among them.